It's shiny and it stays on for a week to 10 days. Is it the brand cachet? The bottle shape? Or maybe it's the clever polish names. Whatever the reason, Essie nail polish is the target of one particular thief, who has made off with approximately 1,000 bottles of Essie polish in the past few months. Targeting a couple of Duane Reade drugstores in Manhattan, the thief (who has been captured on video) takes a few hundred bottles of polish at a time. Authorities are unsure why the man steals only one brand of polish; they are monitoring websites such as Craigslist to see if any unusual volume of nail polish goes up for sale. 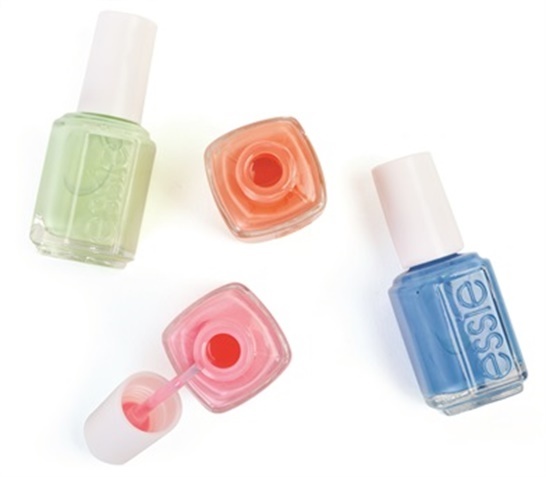 When interviewed by a news reporter on why the thief was partial to Essie, company founder Essie Weingarten attributed it to the product's innate appeal to women. "It's shiny and it stays on for a week to 10 days." The 2016 NAHA Finalists Announced! Finger lickin’ good — or gross? KFC launches chicken-flavored nail polish in Hong Kong.